Book Review: R Clifton Spargo's "Beautiful Fools"
Home » books » literature works » review » Book Review: R Clifton Spargo's "Beautiful Fools"
R. Clifton Spargo’s Beautiful Fools is a novelisation of Scott and Zelda’s last holiday together, imagining their final flight of romance before they parted company forever. Set in the sweltering heat of Cuba in 1939, the novel introduces the author’s interpretation of one of the era’s most iconic literary couples. It seems to be the season of novels exploring the lives of the Fitzgeralds, with several other authors taking on aspects of their turbulent history (Therese Anne Fowler and Erika Robuck, for example). 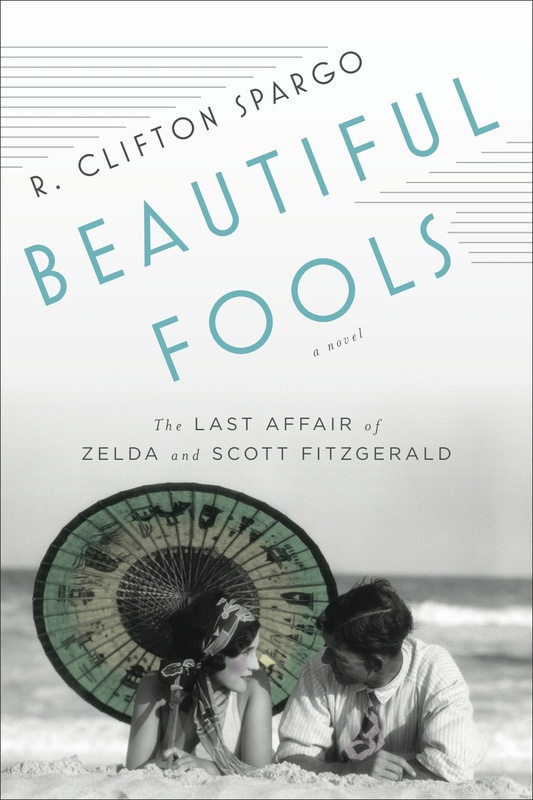 Suffering ill health and continuing to drink excessively, Scott whisked Zelda away to Havana in the Spring of 1939, having promised her a holiday. Very little is known about their time there, other than that it ended with Scott’s collapse, and Zelda having to arrange safe passage back to New York for the pair of them. Building on this, Spargo’s book is a deeply nuanced exploration of Scott and Zelda’s relationship at its most difficult. The characterisation in this novel is what makes it such a compelling read. While I’m sure Spargo’s interpretation of Scott and Zelda will prove controversial among certain fans, I found it to be a believable imagining of the dynamic of their relationship. While Zelda is prone to fits of extreme emotion in the book, I didn’t feel she was reduced to a ‘mad woman’, and Spargo gave the reader glimpses of her vivacity and thirst for experience. While Scott negotiated Zelda’s ups and downs, she struggled with his dark moods, often brought on by drink. Overall, I felt Spargo conjured an image of the Fitzgeralds as something more than the archetypal glamorous literary couple, making them into two human beings, struggling to sustain a relationship which had undergone extreme challenges; adultery, mental illness, overindulgence. At times, they succeed, and Spargo evokes the old magic of their whirlwind romance, but then it all crumbles under the strain of their personalities.